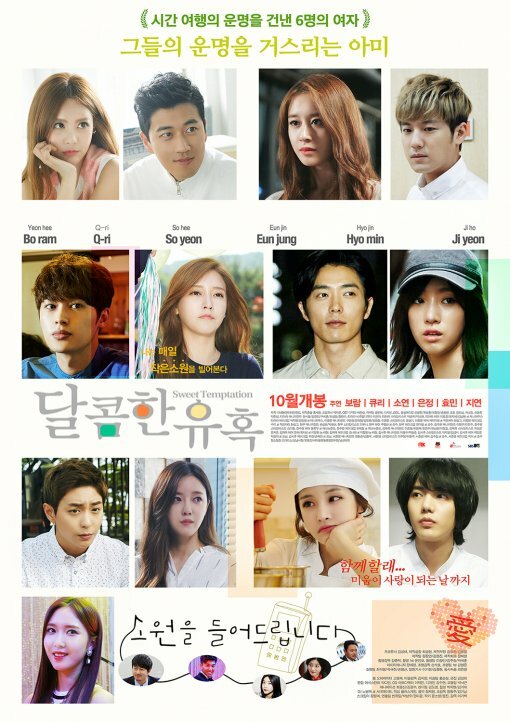 The broadcast of T-ara’s web drama, Sweet Temptation, resumed today on the 4th of November. Part 1 of Eunjung’s web drama episode, Only For You, was aired today on Naver TV at 10 AM KST. Part 2 will air on the November 6th. Eunjung stars alongside actor Kim Jae Wook in her episode and released OST Good Bye in the previous month, which gathered a lot of attention. On November 9th, Jiyeon’s episode Rebirth shall air. Following that, Boram’s Recipe of Love on the 13th and finally Hyomin’s It Rains When You’re in Love on the 18th. T-ara’s web drama Sweet Temptation stars the members Qri, Soyeon, Eunjung, Jiyeon, Boram and Hyomin alongside actors Jang Soo Won, Lee Seo Yool, Kim Jae Wook, Seo Jun Young, Kim Shi Hoo and Hyun Woo respectively. Sweet Temptation is a collaborative production by MBK Entertainment and SBS MTV. Diadem is hiring Korean and Chinese Translators! I thought I would go crazy from anticipation waiting for My ♥JIYEON’s WEB-DRAMA Series to air!!!!!! OMG! Counting the hours and minutes already !!! November 9th, It’s a Sunday, Hawaii time so I’ll be up no matter what?!?! Hahahaha! We International Queens are a little nuts huh???! LMAO! 。。。。don’t laugh, cause all you Queens will be glued to your hand phones, tablets and pc’s just like I’ll be! Heehee!! hope the rest drama will be excelent too ! Good news, I want more of it. The story with Eunjung and her sister (Jenny of Dia) seams great. I love it …. My cute girl… T-ara fighting!!!!!! I pray everything T-ara do will be successful.